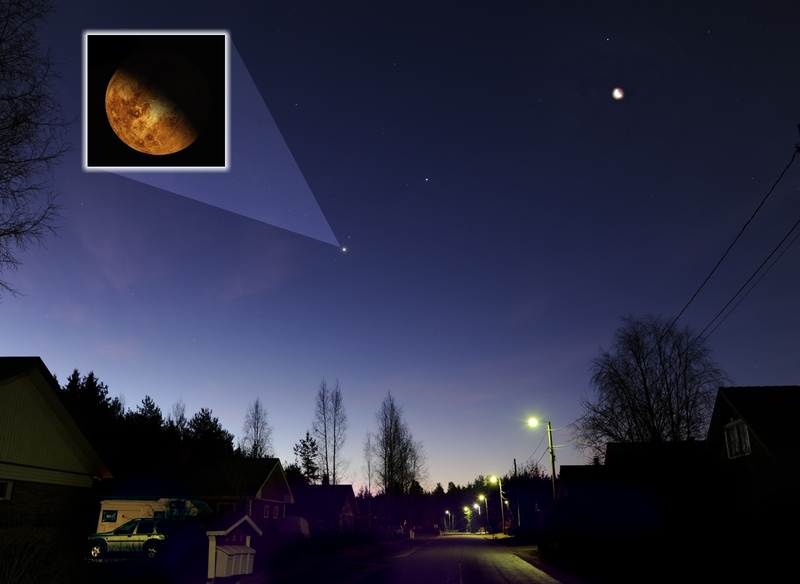 Now, and during the coming months, Venus rises over the horizon, rather close to the east – whether you are in Canberra, Mexico City or Tromsø. 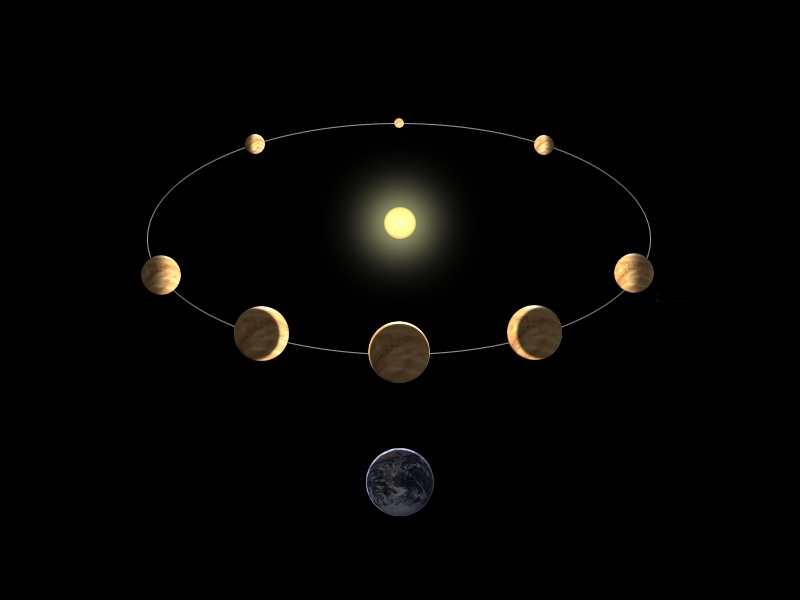 June 2016, Venus will be at its furthest distance from the Earth, on the other side of the Sun from our point of view. A couple months later Venus reappears in the sky – on the other side of the Sun – as a bright “evening star”. Around 1500, explorers, navigators and cartographers sailed across oceans to enlarge our known planet – at least in some cases – and to find useful shortcuts to rich cultures and land. Questions about our place in the universe were to be answered by astronomers and mathematicians. Nicholas Copernicus formulated, around 1514, a model that put the Sun in the center of the Universe. Copernicus main tool was mathematics. 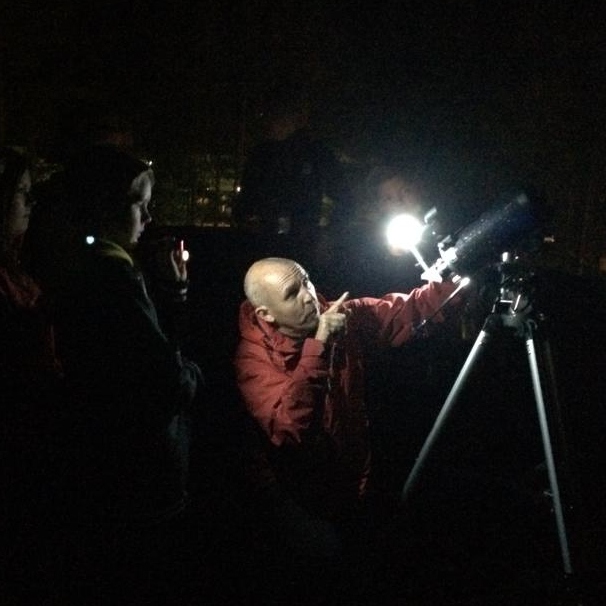 He did build an observatory, but he didn’t have a telescope. Astronomer Tycho Brahe is known for his accurate observations of stellar and planetary positions and movements. He was one of the last major naked-eye-astronomers. He did though have an observatory with useful mathematical instruments. Johannes Kepler, a mathematician who spent years as an assistant to Tycho Brahe, then used Brahe’s records of the motion of Mars to deduce his laws of planetary motions. The Italian astronomer, mathematician, physicist and engineer is the one we remember who picked up a telescope to show the rest of the world that Venus exhibited a full set of phases – similar to the phases of the moon. At the time, 1610, it was not easy to convince people that we live on a planet, among other planets, orbiting the sun. Galileo was sentenced to formal incarceration by the Inquisition, soon after commuted to house arrest for the rest of his life. Copernicus’s document, De revolutionibus orbium coelestium, “raised a fair share of controversy” and was banned. It remained on the list of forbidden literature for almost 300 years. However, Copernicus, Brahe, Kepler had opened the scientific box of astronomy. Galileo added a telescope to that toolbox and the planet Venus showed the world that these men were right! Next time Venus was the key to astronomical success was in 1761 and 1769 when astronomers travelled to distant locations on the globe to measure the time Venus spent in front of the sun during these Venus-transits. The idea can be traced back to Edmond Halley who came up with a way to use the parallax appearing when looking at the transit of Venus from places as distant as possible from each other on the surface of the earth. Kepler had already given us the proportions. By getting just one distance, it would be possible to figure out the others. In those years, several countries were at war. Among them France and England. However, the scientific work was considered importance enough to give the great project a green light. Astronomers did not follow the stupidity of mankind. Furthermore, they got their blessings from their kings and governments to work together for the cause of science. Andrea Wulf has written their story in her book “Chasing Venus”. An abstract, told by Andrea, can be viewed here. Next time when you look at Venus – Remember that little bright spot in the sky has given scientists strength to overcome obstacles set by the church and by kings and governments. And it’s beautiful enough to improve one’s romantic thoughts. Jan teaches mathematics and interdisciplinary science to pupils 13-16 years of age at Sursik School, Pedersöre, Finland. Space-related science often gives some sort of answer to the question “Why?”, a question quite common in math class. It also triggers curiosity, one key component in progress.